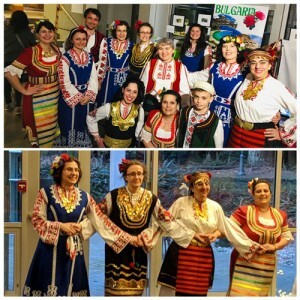 Bulgaria was presented with a cultural stand and performances of our folk dance groups “Kitka” and “Sofia” at the Eastern European Cultural Appreciation Event, organized by the International Relations Students Association of the University of British Columbia, which was held on March 16, 2019 at the Liu Institute for Global Issues in Vancouver. 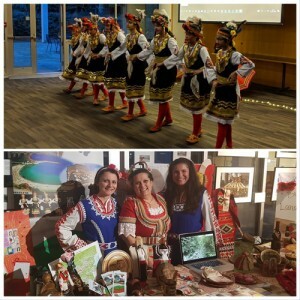 At this event were presented with cultural stands and dance performances not only Bulgaria but also other Eastern European countries, such as Slovenia, Croatia, and Ukraine. The representatives of these countries performed folk dances and teases, traditional for their culture. The event ended with country dances, which the public was encouraged to join.